Sulfur as road bitumen modifier - GlobeCore Bitumen Emulsion. Oil residuals were treated with sulfur to get sulfurated bitumens about 100 years ago. But introduction of air-rectified bitumen production technology has significantly limited sulfur application in this area. This chemical element is able to remove hydrogen and transform ordinary links into double links. The unsaturated compounds formed are polymerized with time. If sulfur is added to bitumen, its content in asphaltenes rises significantly. It is influenced by both the quantity of the added substance and the duration of mechanical action and heating. Addition of sulfur in the process of road concrete mix production significantly improves bitumen adhesion properties. At the same time, production of sulfur bitumen mixtures is causes emission of harmful gases generated by heating. This problem requires a solution, if sulfur is chosen as a bitumen modifier. 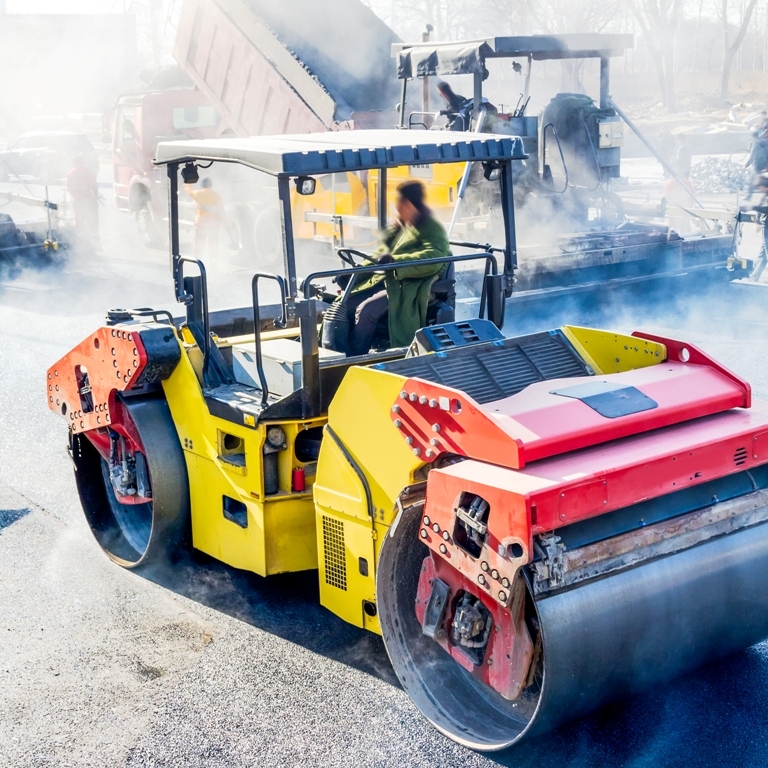 In many countries cheap and accessible sulfur is used for creation of sulfur bitumen road bindings and reduction of inefficient bitumen consumption. In some cases, sulfur content in construction mixes can reach 60-70% by weight. A good example is sulfex-coating, plasticized with hydrocarbons. Properties of sulfur modified bitumen are defined not only by sulfur as a chemical element, but also by the temperature of its injection, content and duration of agitation. Research shows that sulfur is combined with bitumen better at 100-120⁰С. The form of modification (powder, fusion, etc) does not influence the properties of finished product. sulfur content: 5-7% by weight. The attentive reader will immediately notice that road bitumens are dispatched at the temperature of 160⁰C. Modification at this temperature will lead to generation of hydrogen sulphide and sulfur oxides. That is why bitumen must be cooled to 120⁰С before modification, which may be somewhat inconvenient. In the USA and Canada sulfur-bitumen mix is widely applied as a binding material in asphalt concrete mixes. Sulfur content allows to improve durability, thermal stability, cracking resistance, adhesion and chemical resistance. Besides, using this material reduces the required thickness of asphalt-concrete coating and bitumen consumption.